And that's a big no thank you! It's not rocket science. Eat well, work out, go to bed early and don't do things that are bad for you (like smoking and lying in the sun - you know who you are...!!). But hey, life is for living right, so every now and again we might just need to invest in some damage limitation - say on a Monday morning in particular? And as you get older and wiser (ha ha!!!) the damage limitation you are mostly looking for (okay, that I'm looking for...) takes the form of anti-ageing products that can reverse (or just mask!) the tell-tale signs (like wrinkles, thinning hair and saggy skin) that you've had one too many birthdays as well as one too many glasses of wine! Even better if those products can help prevent any further damage. So first up, collagen - the protein that gives skin its elasticity and strength. 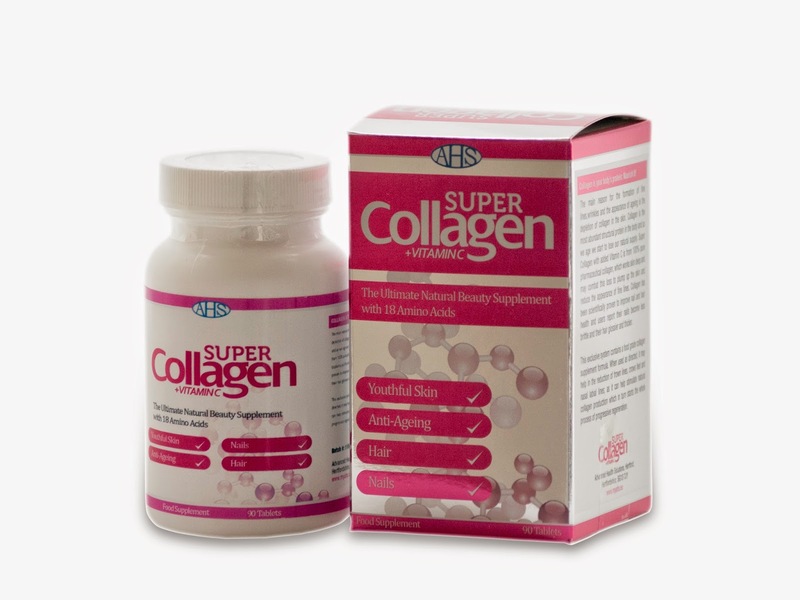 As we age the total collagen in our skin decreases at a rate of about 1% per year. This means wrinkles set in and skin takes longer to repair itself. So I was more than happy to test out the Super Collagen +C product from AHS, not least because it's made from 100% pure pharmaceutical collagen and is combined with an antioxidant vit C hit that is key to collagen production. Collagen has been scientifically shown to improve nail and hair health and might even help to reduce those frown lines, crow’s feet and laughter lines I've been perfecting for 40 odd years too. I'm currently swallowing three pills a day to find out if the supplement can pump up my hair and plump up my face...and have had one comment that my hair looks thicker so just maybe I've stumbled across a miracle! 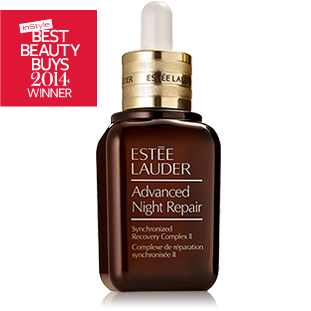 And I've also found my way back to the Estee Lauder range, partly because I read in a Sunday supplement that its Advanced Night Repair product actually works (not surprisingly it's one of the range's best sellers then). 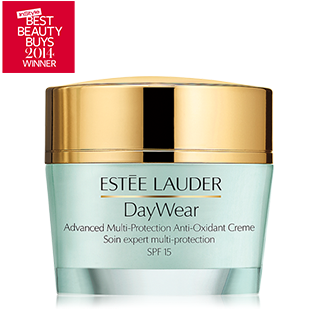 As well as a few drops of this every night, I'm using the DayWear Advanced Multi-Protection Anti-Oxidant Creme SPF 15 during the day to protect against the sun and try and repair the damage that's already been done by me just, well you know, living my life. Now I've visited the web site I'm also fancying some Resilience Lift Overnight Creme to top it all off. Turns out, this could be an expensive blog post! And finally one easy way we can all eek out our youth that bit longer is by eating! Yay! But by eating, I mean harnessing the power of super foods (not ordering anything that comes served in a bucket...). Take berries for example, they are rich in vitamin C (which helps build collagen remember!) but also contain flavonoids, polyphenols, probiotics and antioxidants (just a heads up oxidation is a normal chemical process that takes place in the body every day but triggers the formation of free radicals, which can cause damage to cells in the body). Darker berries (and in fact all purple fruit and veg) offer anti-ageing benefits (think less wrinkles) because they have the highest concentration of antioxidants. Likewise think about including foods rich in omega-3 in your diet (salmon, tuna and some nuts and seeds) as it is thought omega-3 fatty acids affect how healthy the skin looks and feels. And pop tomatoes onto your anti-aging plate too - as well as vitamin C, they contain lycopene, which helps protect against UV damage. Do you have any anti-ageing tips you can share? Do you have a favourite beauty product that could be the secret to eternal youth? Let me know by using the comment box below - I need all the help I can get! Vanessa this is my absolute favourite subject and I could go on for hours about it - but I won't...just a few minutes to say I tried Estee Lauder advanced night repair and really wasn't impressed. I think I need a thicker cream and have hit upon Eucerin's Anti-Ageing Hyaluron Filler Night Cream which has hyaluronic acid in it - yes, I do like the hard stuff - to plump up skin. 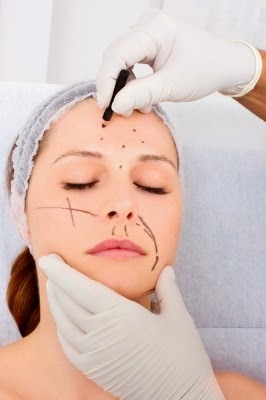 Very interested to hear about your collagen trial - keep us posted! I guess everyone's skin is different - so what works for one, might not for another, I hadn't thought of that aspect. Happily I think they'll always be a plentiful supply of anti-ageging products on the shelves for us to try! Thanks for commenting, and ageing is certainly a topic I'll return to..
Hmm! Yes, I think eating and sleeping well are a winner, but not always so easy to achieve in our hectic lifestyles. I have been wearing sunscreen for years on my face. Does it work? You'll have to ask someone who knew me ten years ago. Not sure that's very scientific, but I like to hope it's making a difference! I have always used sunscreen within a moisturiser certainly, and avoid the sun when possible (I don't tan so I'm unlikely to waste my time sweating in the sun for no return), but that can do so much for so long! I think it's back to the discussion about why women aren't considered beautiful as they age...which is probably my current obsession!! I've always used a moisturiser with SPF in it, but usually opt for organic ranges for sunscreen (like Green People) as both I & the kids have had rashes from using the cheaper ones you often see on offer. Try to get one that doesn't have parabens. They aren't cheap as such, but you only need a small bit and the quality is far superior to the well known brands - some of which were recently shown not to come up to the SPF they promised! My advice would be to always remember to moisturise your neck and body too - that's what I missed out at your age! You won't regret it! As I said to PinkyPrincess, don't forget your neck & body too! I wish I'd concentrated on those areas earlier! Foam rolling - cheaper than massage!